Legacy of Discord is honored to have you with us to start off a new year! With named Best Action Game for mobile in 2016, LoD has been on fire since its release in October. With the most recent Google Play Global Feature, more players than ever are discovering this sensational online action RPG. And now Gtarcade and LoD is ending 2016 with a bang with the launch of 4 more languages and some grand New Year Celebration events! 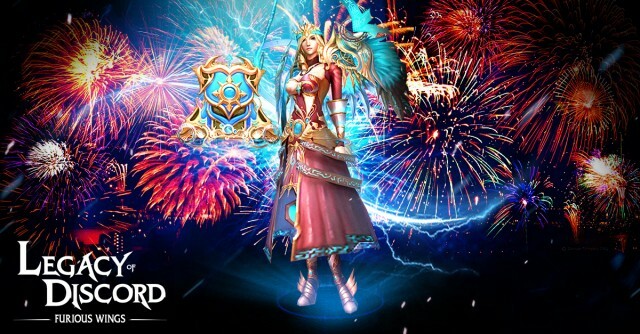 Set off spectacular fireworks to ring in the New Year with Legacy of Discord! Watch the dazzling display of light and earn great rewards for you and your server. A new year brings the most cost-efficient event ever in LoD, offering up to 3000% return on what players put in! Pegasus is a name that can be heard in the greatest legends. Many gods and heroes alike have performed their legendary deeds while riding atop this majestic winged horse. With its unparalleled grace and speed, Pegasus can soar through the battlefield with invincibility. However, to earn the favor of Pegasus, a champion has to be truly blessed by the gods and destined for greatness. 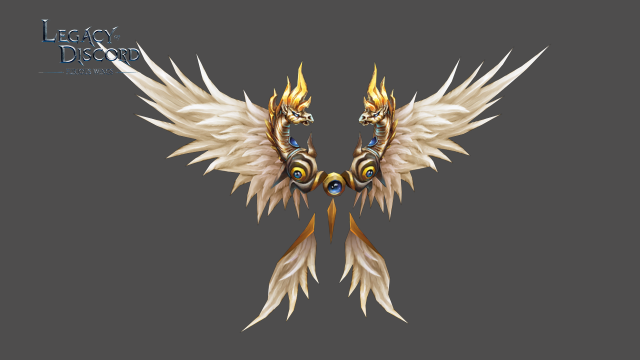 To borrow the power of Pegasus, humanity crafted the Pegasus Wrathwings using a single feather from the divine steed. That alone was enough to grant unimaginable power and speed to the Wing’s wearer. Many Guardians seek to obtain the Pegasus Wrathwings in order to scribe their own names among the legends of Aurora. No one knows who created this strange machine or for what purpose it was made. Its only marking is a serial code that reads "CL3-Ver.1", which led to its nickname, Clever. 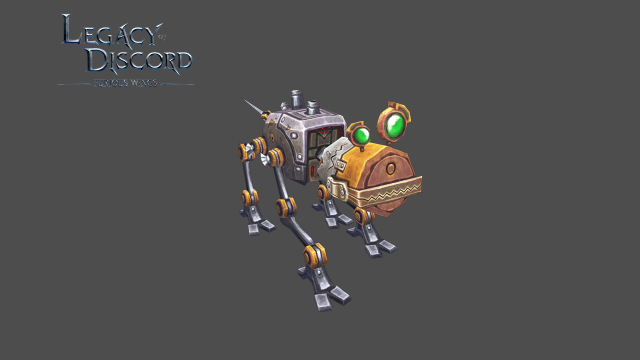 Unique from other machines, a forbidden magic seems to have been used during its creation to allow Clever to think and talk like a sentient being. Not only that, Clever seems to have developed a mischevious personality, perhaps inherited from its creator. Clever possesses a powerful electromagnetic weapon hidden inside its frame. When threatened, Clever can extend an internal antenna that harnesses the electrons in the air to charge and fire off a powerful electro wave at enemies.